MOGADISHU (Caasimada Online)—US military says it has carried out drone strike against Al-Qaeda linked Al-Shabaab in south of Somalia, killing at least two militants. 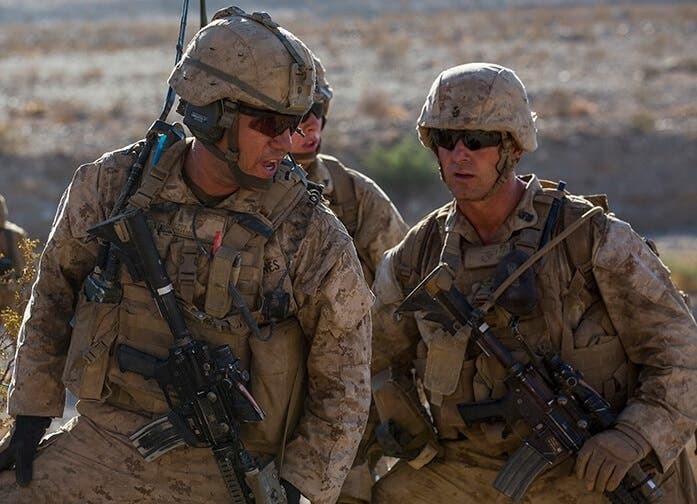 The strike was carried out on Oct. 25 in support of the government of Somalia in Kunyo Barrow area, some 65km west of Mogadishu, according to US African Command. “We currently assess two (2) terrorists were killed in this airstrike,” the Command said. Kunyo Barrow in Lower Shabelle region is a stronghold of Al Qaeda linked Al-Shabaab. 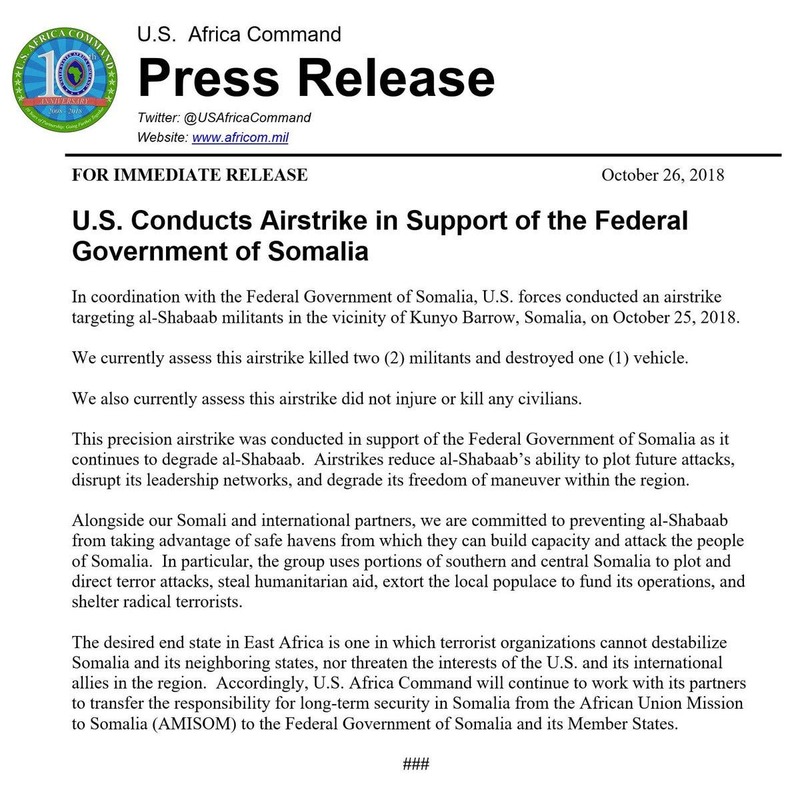 The United States has carried out more than 28 airstrikes against Al-Shabab in Somalia in 2018. 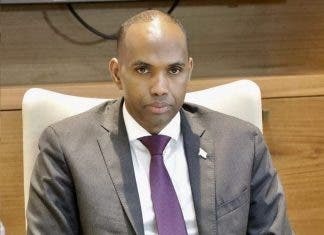 But the Islamist group still holds sway in large parts of the countryside and launch regular gun and bomb attacks on government, military and civilian targets in Mogadishu. The African Union has a combined contribution of roughly 22,000 personnel to fight against the Al-Qaeda inspired group in Somalia.